The idea of BraveLove began in 2012, with a small group of people working with a local pregnancy resource center in Dallas, Texas. They witnessed their clients weren’t even considering adoption as an option when faced with an unplanned pregnancy. This observation was consistent with the National Council for Adoption’s Fact Book, which says only 2% of women faced with an unplanned pregnancy choose adoption. So often the brave act of placing a baby for adoption is viewed in a negative light, when in reality it is a selfless, difficult, and loving act a mother can make for her child. The story of the birth mother needs to be told. As an adoptive mother, I have two adopted children and two biological children. My husband and I are immeasurably grateful to the women who carried our babies, and delivered them into this world, so I have a huge heart for these brave women who place their children for adoption. 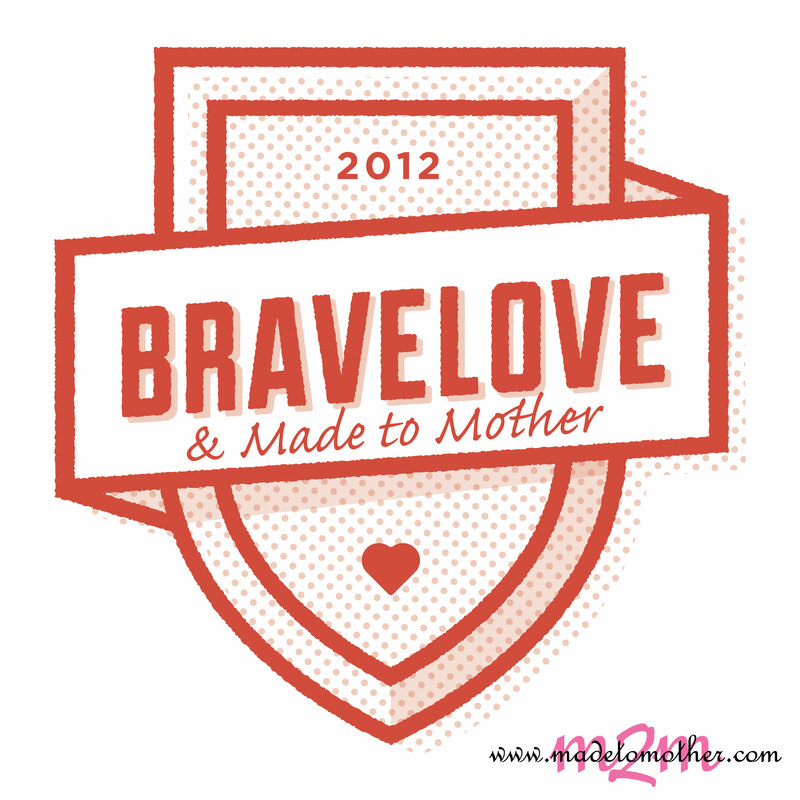 I started BraveLove to change the way our culture thinks about adoption and the women who choose to place. The heartbreaking truth is that many women facing unplanned pregnancy feel unable to care for a child. Sometimes the single-most loving thing a mother can do is place her child with a caring, eager adoptive family. We aim to invite and empower women to choose adoption. If I could convey one message to birth parents it would be that you are loved, respected, and honored. We recognize what you did as a great act of love for your child, and we want others to see you as the brave loving person you really are. You gave your child what you yourself could not give. There is no greater act of selflessness. In the same regard, if I could convey one message to adoptive parents it would be that your child can only benefit from knowing how loved they are by all the parents (adoptive and birth) in the equation. Every child in an adoptive situation, domestic or international, has a birth mother and birth father somewhere out there. The existence of these individuals needs to weigh upon adoptive parents as they seek to rear their children. It makes me sad that we may never know the birth parents of our adopted children. We may never be able to thank them or show them the incredible fruit of their sacrifice. As much as we are the mommies and daddies to our children, there are two other very important people out there that need to be honored, talked about, and recognized for the role they played in the child’s existence in your family. BraveLove is so much more than I ever thought it would be! At the very beginning, we were not quite sure who BraveLove should be targeting. Everybody is an influencer. Everybody plays a role in a birth mother’s choice to place for adoption. Our perceptions affect the decisions others make. We want BraveLove’s message to touch everybody in a birth parent’s sphere of influence — grandparents, teachers, pastors, friends and family, so that when birth parents decide to place for adoption, they have a network of support that can walk with them through this hard decision. This is not just a movement for birth mothers – it’s for everybody. As we began researching and asking questions, it became loud and clear that the birth parent story was one that needed to be told. It is our honor to provide a platform of support and encouragement to these unsung heroes of adoption. Ellen Porter, the Founder of BraveLove, lives in Dallas, TX with her family and works with a dynamic team to run the organization. For more information about them and to read some amazing stories, letters and interviews with real birth moms, please visit them at www.bravelove.com and connect with them on Facebook, Twitter, Instagram and Pinterest. what a beautiful post, thank you for the info on an amazing organization. I had no idea about the statistics regarding this issue, and I’m so glad you’re spreading awareness about it. You are right; it is an act of bravery and it needs to be seen that way. Thank you for sharing. Thank you for telling these often silent stories! Wow – this is something I never heard of before. How awesome! I had no idea that the adoption rate was so low! It is such a wonderful option, I wish more parents would choose it (instead of abortion). Thank you for helping get the word out!